One of my favourite designs of the last year has undoubtedly been Aoife Wullur‘s graduation project at the Design Academy: Shades of Light. For this project Aoife created a series of e-textile fabrics and a room divider with light. 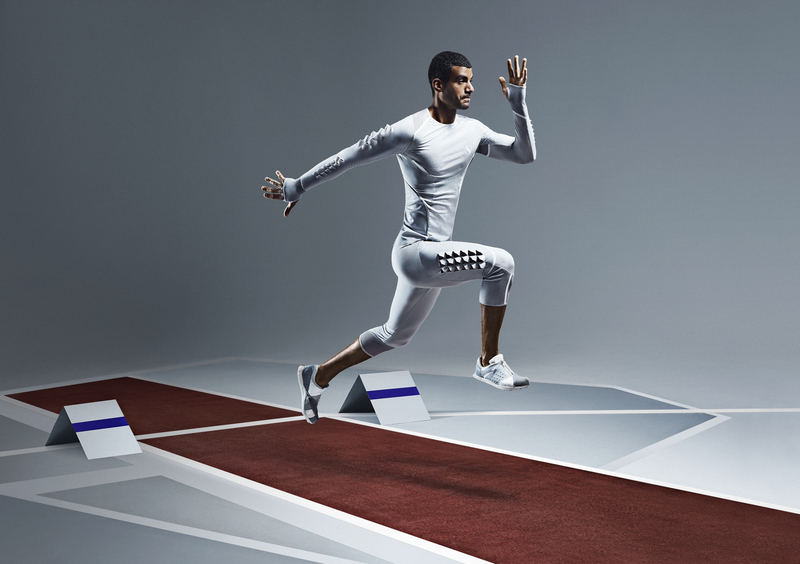 The textiles are woven breadboards of conductive threads separated by regular threads. 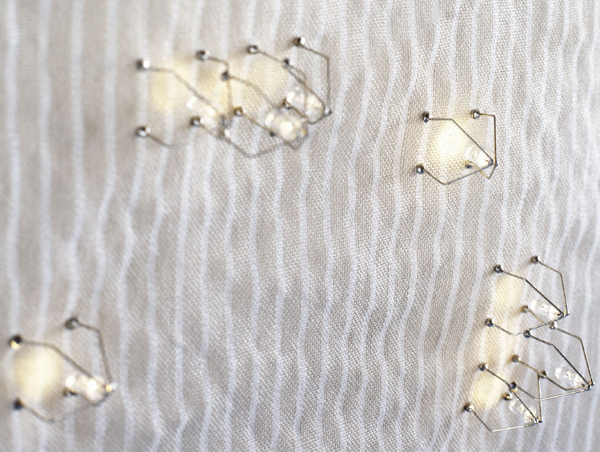 The only visible ‘hard’ electronics in this project are LEDs that have been transformed into a colony of metal spiders, which holds on to the fabric by use of small magnets on the front and back. Rather than projecting the light out of the fabric, these spiders project the light in, illuminating the fabric beautifully, while at the same time avoiding the problem of looking directly into a light source. Although the work looks great in pictures this is one work you should really see in real life. 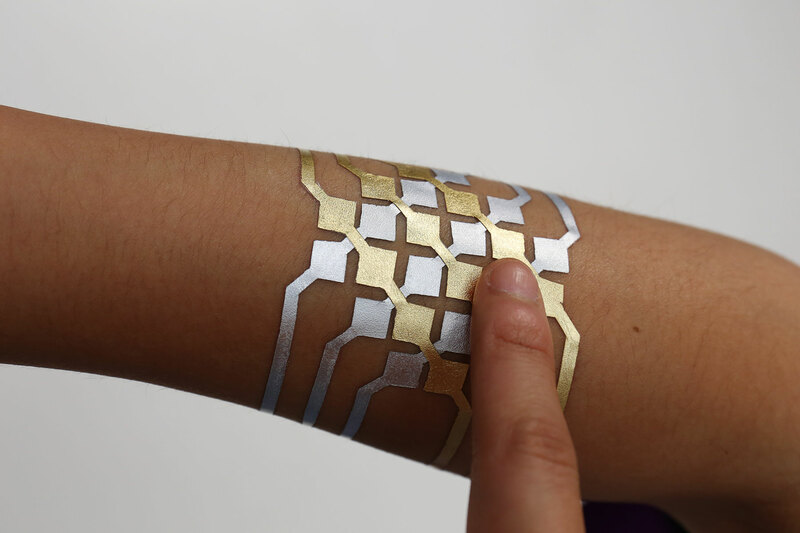 What distinguishes this work from many other electronic textiles is that you would almost take it for granted. This is a rare quality for an electronic textile. Not only does this seem to be a fabric that is producible by the meter, the design is also reconfigurable, giving one the choice to either stick with Aoife’s design or to make a light design adapted to one’s own interior. This is for sure a product I would be proud to have in my home. Shades of Light was presented presented at the Final Exam Exhibition of the Design Academy during the Dutch Design Week and the Prototypes exhibition of Ann de Gersem and Jacki Dodemontová that visited Eindhoven, Den Bosch and Breda in the beginning of 2012. You can see Shades of Light at Technosensual in Vienna this summer from 14 June – 2 September 2012.